Email Marketing is the best way to get fast result if you are promoting your business online. If your business is not actively building email list of customer, you may be setting your business up for digital failure. Yes! A customer who visited your site today might not visit it again for life because there is no way you can get that visitors except you build your email. What is email marketing and why its needed in your online presentation? 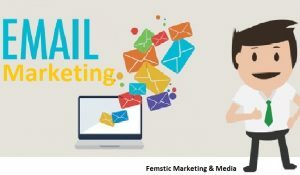 Email marketing is a way of reaching your customers or prospective customers through email who have given your business explicit permission to contact them for latest offer, promotion, or news. So, if you have your customer email, you will be able to reach them anytime you need to give them something or you want them to take action on your offer. We noticed that many business today don’t build email and they are spending millions of dollars on advertisement while they can spend less if they are building their email list. You don’t really need to advertise your business everytime, advertisement is needed when you first launch your site and your email list will take care of the rest in future. Maybe you will need to know why Email Marketing is important? Email Marketing reduces your advertising cost with our marketing strategies. We find people who are interested in your business and find a way to get their email. Even if they are not ready to buy from you at that moment, they will buy in future because we update them and make your offer fresh in their mind every time we send out message to them. 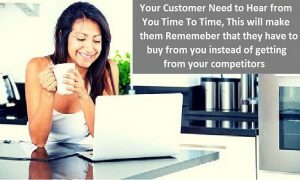 A customer can use your service or your products time without number. With our experience, its easy to sell to your formal customer instead of trying to sell to new customer. Your old customer know your products and they know that your new or other products will meet their need, they will be happy to get from you anytime you update them your new products. At the end of the day, your business is about making sales. Have you heard of this phrase before, “the money is in the list.” The list they are referring to is your email list, not your products list. Email marketing is the best channel to help you increase your sales if you know the right way to do this. Not about blasting your message to an irrelevant list that you got from someone, that will not work. The best way to do this is to allow your visitors subscriber to your list as to promote your products and services to them in future and to gain more traffic. Through lead scoring, progressive profiling, and well defined email campaigns, your business can know when a customer is primed for a purchase. Knowing where your customer is in the funnel through lead scoring will give you insights on when to be more aggressive with sales based messaging. Do you know that everybody is trained to do something with an email -reply, forward, click-through, sign-up, or even straight buying? Think about this! Email is transactional by nature and you can use it to direct traffic to your website and ultimately drive sales. As you develop your small business or startup marketing strategy as a whole, using email will allow you to see results straight away without spending time on creating ads. If you have email list, you don’t need to struggle on who will read your latest articles when you can simply send the link to your list and there will be a lot of engagement even in the first 3 hours you are getting good respond from people who read your article. Its annoyed if you spend hours on articles and at the end you update it, after 2 days you check the article and find no comment. You will feel as if people are not reading it. The truth is, there are hundreds of articles in your niche and people who land on your article may not comment because they don’t know you, they only comment because they want to get backlink. But if you send the link to the new article to your list, they will be happy to read and make comment because they know you; they have build their trust in you. Email Marketing has many importances; you can go to our blog and read more about email marketing. Building email list some time may not be problem, convert your list into sale is the main work and that is what you need. 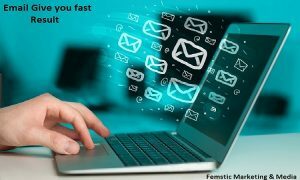 At Femstic Marketing & Media, we make sure we research and know how to convert your list into sales and turn a customer into repeated customer.